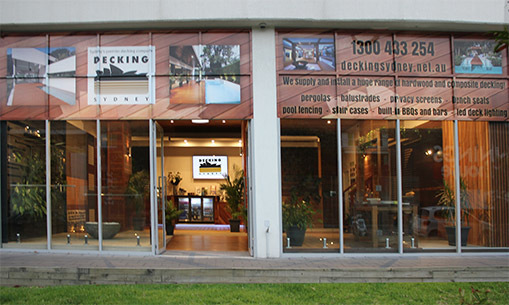 These terms and conditions of use (Site Terms) apply to your use of the website www.deckingsydney.net.au (Site) and do not alter in any way the terms or conditions of any other agreement you may have with Decking Sydney t/as www.deckingsydney.net.au (the Company) or its affiliates. By using this Site, you represent and warrant that you are over the age of 18 and are lawfully able to accept these Site Terms. If you are using the Site on behalf of any entity, you further represent and warrant that you are authorised to accept these Site Terms on such entity’s behalf, and that such entity agrees to indemnify the Company for violations of these Site Terms. If you believe that any material on the Site infringes upon your copyright, you may send a notification of such infringement to us via our Contact Uspage. We may give notice of a claim of copyright infringement by means of a general notice on the Site, electronic mail to a user’s e-mail address, or by written communication sent by registered mail to a user’s address. The Company is the owner or licensee of registered and unregistered trademarks as identified on the Site and in the Site Content and these may not be copied, imitated or used, in whole or in part, without the prior written permission of the Company or relevant trademark owner. You may not use metatags or any other “hidden text” utilizing “Decking Sydney” or any other name, trademark or product or service name of the Company without our prior written permission. In addition, the look and feel of the Site, including all page headers, custom graphics, button icons and scripts, is the service mark, trademark and/or trade dress of the Company and may not be copied, imitated or used, in whole or in part, without our prior written permission. All other trademarks, registered trademarks, product names and company names or logos mentioned on the Site are the property of their respective owners. Reference to any products, services, processes or other information, by trade name, trademark, manufacturer, supplier or otherwise does not constitute or imply endorsement, sponsorship or recommendation thereof by us. TO THE MAXIMUM EXTENT PERMITTED BY APPLICABLE LAW, THIS SITE AND THE SITE CONTENT ARE PROVIDED “AS IS” WITHOUT GUARANTEE OR WARRANTY OF ANY KIND INCLUDING BUT NOT LIMITED TO GUARANTEES OR WARRANTIES OF ACCEPTABLE QUALITY OR FITNESS FOR A PARTICULAR PURPOSE OR NON-INFRINGEMENT. YOU ACKNOLWEDGE THAT THE FUNCTIONS EMBODIED ON OR IN THE MATERIALS OF THIS SITE ARE NOT WARRANTED TO BE UNINTERRUPTED OR WITHOUT ERROR. WE MAKE NO WARRANTY THAT THE SITE OR THE SITE CONTENT ARE FREE FROM INFECTION BY VIRUSES OR ANYTHING ELSE THAT HAS CONTAMINATING OR DESTRUCTIVE PROPERTIES. TO THE MAXIMUM EXTENT PERMITTED BY APPLICABLE LAW, IN NO EVENT SHALL THE COMPANY AND ITS DIRECTORS, EMPLOYEES, CONTENT PROVIDERS, AGENTS AND AFFILIATES BE LIABLE FOR ANY DIRECT, SPECIAL, INDIRECT OR CONSEQUENTIAL DAMAGES, OR ANY OTHER DAMAGES OF ANY KIND, INCLUDING BUT NOT LIMITED TO LOSS OF USE, LOSS OF PROFITS OR LOSS OF DATA, WHETHER IN AN ACTION IN CONTRACT, TORT (INCLUDING BUT NOT LIMITED TO NEGLIGENCE) OR OTHERWISE, ARISING OUT OF OR IN ANY WAY CONNECTED WITH THE USE OF THE SITE, THE SERVICES, THE SITE CONTENT OR THE MATERIALS CONTAINED IN OR ACCESSED THROUGH THE SITE, INCLUDING WITHOUT LIMITATION ANY DAMAGES CAUSED BY OR RESULTING FROM RELIANCE BY USER ON ANY INFORMATION OBTAINED FROM THE COMPANY, OR THAT RESULT FROM MISTAKES, OMISSIONS, INTERRUPTIONS, DELETION OF FILES OR EMAIL, ERRORS, DEFECTS, VIRUSES, DELAYS IN OPERATION OR TRANSMISSION OR ANY FAILURE OF PERFORMANCE, WHETHER OR NOT RESULTING FROM ACTS OF GOD, COMMUNICATIONS FAILURE, THEFT, DESTRUCTION OR UNAUTHORISED ACCESS TO THE COMPANY’S RECORDS, PROGRAMS OR SERVICES. The Site Terms are governed by the laws of New South Wales and the parties irrevocably and unconditionally submit to the exclusive jurisdiction of the courts of New South Wales. Questions or comments about the Site or Site Terms may be directed to the Company using our Contact Us page. © 2014 Decking Sydney. All rights reserved.